Is there any current NBA player who can do more with less than Klay Thompson? The shooting guard (on average) only needs 0.79 seconds to release a shot after setting up to shoot. That skill is what enables Thompson to average more than 20 points per game despite playing for the incredibly stacked scoring unit which is the Warriors. The Warrior barely touches the ball yet still manages to have an impact with his spacing, shooting and off-ball movement. When Thompson was drafted he was seen as a pure three and D player who would mainly shoot three-pointers and play good defense. 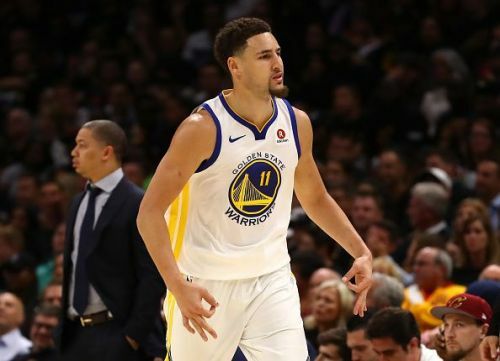 These predictions turned out to be correct, only understated, as Thompson has transformed into the ‘ultimate’ 3 and D player as he has become one of the best three point shooters in NBA history (along with fellow splash brother Stephen Curry) while playing some of the best defense in the current NBA. Yet, Thompson has also exceeded those scouting reports as he has also shown an ability to сreate his own shot. All of these positive aspects have made Thompson and invaluable part of the Warriors’ core that has dominated the NBA over the past four seasons. He will indisputably go up in these rankings as his career progresses.